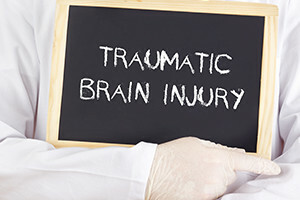 Traumatic brain injuries (TBI) are among some of the most difficult injuries to diagnose, treat and overcome. Whether your injury was sustained in a serious motor vehicle accident or while working on the job, obtaining the necessary compensation to pay for immediate and long-term healthcare and recovery can be equally difficult without experienced representation. For more than 40 years, the law firm of Pulgini & Norton, LLP, has assisted people in the Greater Boston area and throughout Massachusetts who have suffered serious injuries on the job and in other accidents. We work diligently to help you recover the benefits you need to pay for your medical bills, lost wages and any ongoing rehabilitation costs related to your accident. Contact our firm to learn more about how our attorneys can help you. Schedule a consultation by calling our office toll free at 781-843-2200. These issues may not be apparent immediately following an accident, so it can be difficult to assess the entire cost a traumatic brain injury could have on your life. Therefore, it is important to seek medical attention immediately following a head injury and for any symptoms that may follow. If you suffered a traumatic brain injury in an on-the-job accident, you may be entitled to workers’ compensation and/or disability benefits. Our firm will assess your situation and provide the skilled and assertive representation you deserve to protect your rights and interests. If you have suffered a traumatic brain injury on the job, contact us to schedule an initial consultation and learn more about our representation in Boston and throughout Massachusetts. You may e-mail our firm or call one of our three offices in Braintree, Hyde Park or Downtown Boston toll free at 781-843-2200.